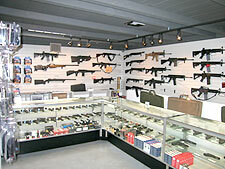 The Armory on Pima is Tucson's premier source for handguns, tactical rifles, tactical shotguns and accessories. In addition to offering the most competitive prices in the country, Josh and his staff will provide you with expert advice and personal, professional service. The Armory on Pima is your best source for new weapons from Armalite, Beretta, Bersa, Bond Arms, Browning, Bushmaster, Century, Charter Arms, Cimarron, Colt, CZ-USA, Dan Wesson, Ed Brown, DSA, FNH USA, Glock, HK, Kahr, Kel-Tec, Kimber, Les Baer, LMT, LWRC, Magnum Research, Mossberg, Nighthawk Customs, Para Ordnance, Remington, Rock Island Armory, Rock River Arms, Rossi, Ruger, Savage, Sig Sauer, Smith & Wesson, Springfield Armory, Stag Arms, Steyr, Taurus, Thompson, Walther and Wilson Combat. In addition to firearms, we carry a complete line of ammunition, optics, holsters, flashlights, reloading supplies and accessories from all of the major manufactures. The Armory on Pima is Southern Arizona's Official Law Enforcement / First Responder Distributor for GLOCK. 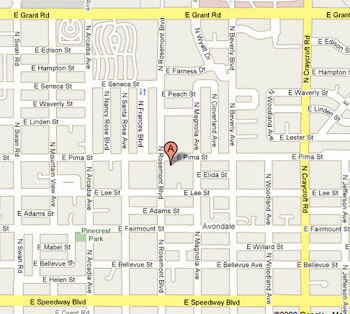 We look forward to seeing you soon at The Armory on Pima, Tucson's most exciting gun store!